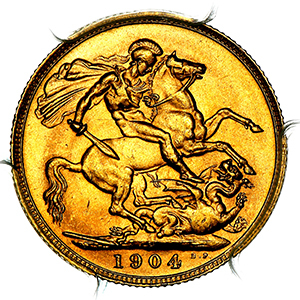 The key date for the Edward VII Perth series. 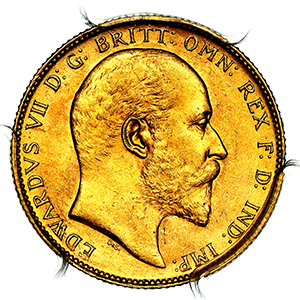 Australian mint Edward VII sovereigns are notoriously difficult to obtain in high grades. 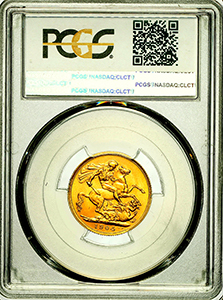 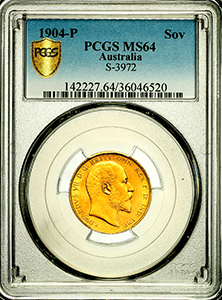 Mint State 64 is the top grade available to collectors for all Australian Edward VII sovereigns of any Mint with no examples higher at either PCGS or NGC.